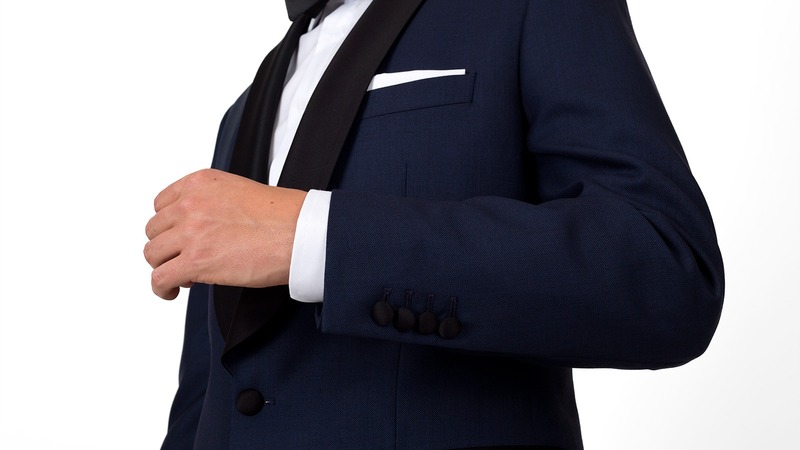 Our Midnight Blue Sharkskin Tuxedo manifests traditional sartorial quality with a contemporary twist. 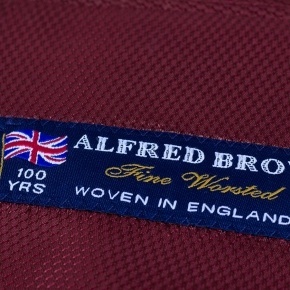 It is made from 100% Extrafine British wool with a distinctive weave that boasts exceptional texture and depth. 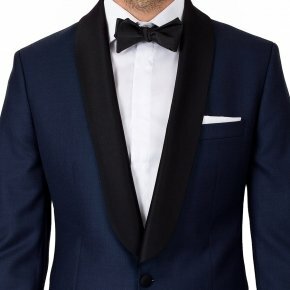 While midnight blue is no longer an extravagant choice for modern day black-tie events, it convincingly shows its wearer has mastered the tux and can pull it off like a pro. Leave tuxedo renting to the rookies. 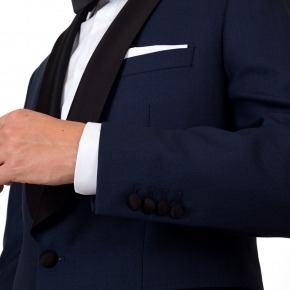 Get you custom-tailored, perfect-fitting midnight blue tuxedo with a click on “Customize Now”.